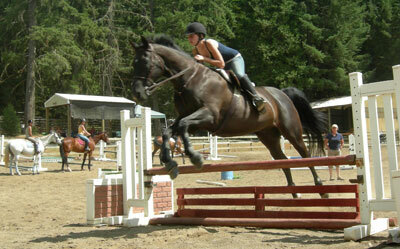 Jumping lessons are available at Wildtree Farm and at Avalon in Cottage Grove. 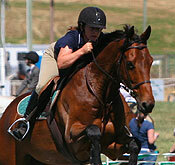 These lessons generally include flatwork and jumping. Lessons are a minimum of one hour for a semi-private, up to two hours for a larger group. 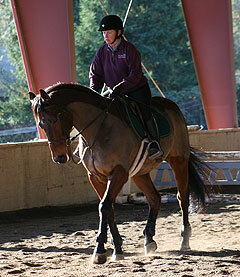 Dressage lessons are also available. Full care board and training, available at Wildtree Farm, includes a minimum of five training sessions per week. 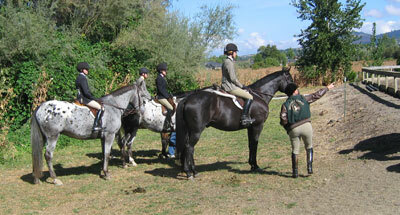 These can include professional training sessions, owner lessons or owner hacks. Horse boarding without training is not available at this time. "What I love most about Norma Richards is her passion for horses. There are too many trainers out there who view horses as pieces of equipment and are only in the horse training business to make money. Norma's students gain the benefit of her years of experience and more. She cares about the horses, and she places their well-being ahead of other considerations. She also cares about the happiness of the riders and allows her students to follow their own paths, whether they are riding for pleasure or with competitive goals. I recommend Norma to riders and horse owners who want to enjoy the process of riding and training, as well as having the satisfaction of the finished product--a well-trained horse. " 2014 © Wildtree Farm All rights reserved.